North Country Studio Workshops is proud to display this list of the extraordinary instructors who have enriched the lives of so many of us. See entire lists at right and read a few sample profiles below. Hedi Kyle’s innovative book structures have been influencing the field of book arts for forty years. Her one-of-a-kind constructions have been exhibited internationally, and are in many private and public collections. Hedi graduated from a Bauhaus-modeled art school in Germany with a degree in graphic arts. Unexpectedly, her career took her into the book world, as a conservator, as a book artist, and as a teacher. She teaches regularly at the University of the Arts in Philadelphia and has taught workshops for the past twenty years in the US, Canada, and Switzerland. Textile artist Elin Noble won the 1999 Independent Publisher best "How-To Book" award for Dyes and Paints: A Hands-On Guide to Coloring Fabric. She has a vast experience and understanding of the dye process. Elin has lectured and conducted workshops across North America and in Europe. Her work has been exhibited internationally, and she has had solo exhibitions at the Schweinfurth Art Center, at the New Bedford Art Museum, and the La Conner Quilt and Textile Museum. She was nominated for Teacher of the Year Award in 2005 by Professional Quilter Magazine. 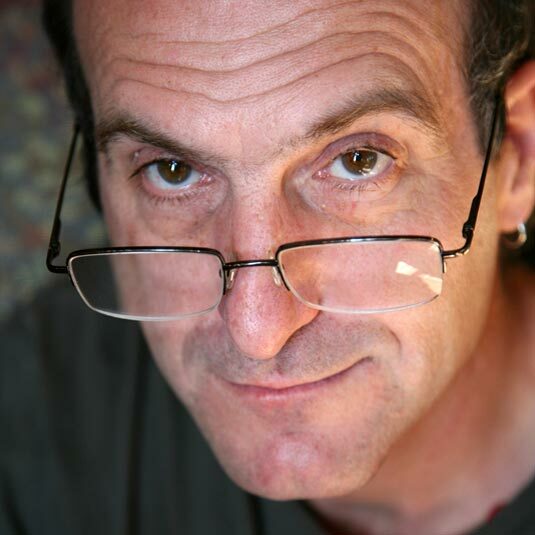 Michael Sherrill is a materials-based artist experimenting primarily in the media of clay, metal, and glass. He has exhibited internationally, and his work is held in many public collections, including the Smithsonian Institution’s Renwick Collection, the Los Angeles County Museum of Art, the Mint Museum, the Museum of Art and Design, Corning Museum of Glass, and Takoma Glass Museum. In 1993, the Year of Craft, Michael was selected for the White House collection, which traveled to venues around the United States. Arthur Ganson is a kinetic sculptor who uses simple, everyday materials to build witty mechanical art. His work examines the quiet drama of physical motion, whether driven by a motor or by the actions of the viewer. Notions of balance, of rising and falling, of action and reaction and consequence, play themselves out in wire and steel and plastic. He was artist in residence at MIT from 1995-1999. His work has been featured in one-man shows around the US, and he has permanent installations at the Smithsonian Institution, the MIT Museum, and the National Inventors Hall of Fame. Combining his carpentry skills with his love of nature Patrick Dougherty builds sculptures and monumental installations made of tree saplings. Over the last thirty years, he has built more than 250 of these works and become internationally acclaimed. His sculpture has been seen worldwide – from Scotland to Japan to Brussels, and all over the United States. He has won numerous awards and fellowships and was the subject of a major book published by Princeton Architectural Press. A leading figure in the American Studio Furniture Movement, Jon Brooks is highly regarded nationally and internationally as a furniture maker and sculptor. His work combines craftsmanship, inventiveness, and poetic whimsy. His work is held in the collections of many museums, including the Renwick Gallery of the Smithsonian, the Museum of Arts and Design in New York City, the Philadelphia Museum of Art, the Queen Victoria Museum in Australia, and the Museum of Fine Arts in Boston. Textile artist Dorothy Caldwell’s work is influenced by her travel and research in India, Japan, and Australia. 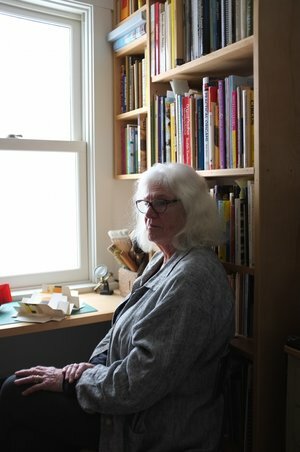 She has executed major architectural commissions, and her work is in many permanent collections, including the Museum of Art and Design in New York, The Canadian Museum of Civilization, Quebec, the Canadian Department of Foreign Affairs, Museum of Fine Arts Boston, and the International Quilt Museum and Study Center, University of Nebraska. She maintains an active international exhibition and teaching schedule from her studio in Ontario. Kathleen Dustin creates jewelry and handbags using polymer clay. Her work is held in museums across the country, including the Tassenmuseum in Amsterdam, the Museum of Fine Arts in Boston, the Mingei International Museum in San Diego, and the Philadelphia Museum of Fine Arts. Her work is also held in the “private collections” of people who use and wear and enjoy her pieces every day. Her work has won many awards, including “Best of Show” at the Smithsonian Craft Show in 2012.